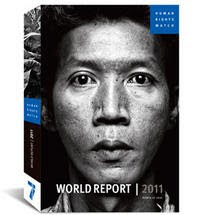 Human Rights Watch (HRW) has released its 2011 World Report of human rights conditions in the world. The report is based on investigations carried out by HRW staff in partnership with domestic human rights activists. Their findings show that several of the main human rights issues in Armenia, Azerbaijan and Georgia are similar for all three countries. Freedom of assembly remains a problem in the South Caucasus. In Georgia, HRW points out several incidents where peaceful demonstrations were disrupted by the police. The November 2007 demonstrations are also mentioned and the government’s refusal to launch an investigation of the events. In Armenia, the report focuses on the authorities’ failure to investigate the excessive use of police force during the March 2008 demonstrations. Police officers convicted of excessive use of force were amnestied, opposition activists remain imprisoned and relatives of those killed in the demonstrations unsuccessfully appealed to the court for an investigation into the deaths. In Azerbaijan, the authorities continue to restrict the freedom of assembly by denying requests to hold demonstrations. Unauthorized demonstrations were dispersed and protestors detained. In all three countries, there are several examples of ill-treatment in policy custody and the police has in many cases failed to conclusively investigate these incidents. Georgia and Azerbaijan both held elections in 2010. The local elections in Georgia are mentioned as a positive development, despite some shortcomings, but the parliamentary elections in Azerbaijan did not meet international standards. Only one opposition candidate gained a seat in the parliament and political parties could not express their views due to restrictions in the freedom of expression, assembly and association. Additionally, Georgia is criticized for the authorities’ handling of the eviction of internally displaced persons (IDPs) from collective centers. According to HRW, the authorities do not engage in a dialogue with the IDPs, do not provide notice in advance of the evictions, and do not offer adequate alternatives to the collective centers. In Armenia, violations of the freedom of expression are brought up as an issue. It is, however,the lack of accountability and excessive use of force related to the March 2008 events that is the main point of criticism in HRW’s country summary for Armenia. In Azerbaijan, the focus is on journalists, political activists and bloggers who were faced with criminal charges for criticizing the authorities. Several of them also suffered physical attacks by the police. The government has failed to thoroughly investigate these incidents and continues to hold political prisoners. HRW does not seek to rate or to compare the human rights conditions between countries. Nevertheless, the annual report provides a landmark summary of the current situation of human rights across the three countries. You can access the full HRW report here.